Michelle Cottle wrote an article for Politico titled "Leaning Out: How Michelle Obama Became a Feminist Nightmare." She laments that Michelle Obama will not be the one to "shatter the First Lady mold" as she is essentially focusing on being (in her own words) "mom-in-chief" and existing squarely within the confines of traditional gender roles in her acts as FLOTUS. Kristen Rowe-Finkbeiner (CEO of Moms Rising) wrote a response pointing out the problems with denigrating the role of motherhood within feminism and coined the hashtag #FeminismIsForMothersToo which led to an interesting discussion surrounding the tension, overlap, and partnership of motherhood and feminism. These conversations are running across a spectrum that includes policy issues, political posturing, and societal value. The mainstream narrative of tension between motherhood and feminism is rampant. In fact, it's been one of the defining points of focus for this blog. I've written about my frustration with framing feminism and motherhood as competing ideologies and how so many notions of feminism seem to forget that children are also people. Perhaps it's because of where I'm at personally, but this particular conversation is taking me in a slightly different direction. Michelle Obama is being questioned not for her ability to mother, but her ability to "work." In this case, work has a very specific connotation, and it is uniquely divorced from the typical economic notions. We often only define something as a "job" or "work" when it comes with pay. In Michelle Obama's case, her role as First Lady of the United States is complicated. She does not receive a salary for this role (a fact that Mr. Obama was lambasted in the conservative press for pointing out). While Cottle certainly seems to have very specific duties she expects of the First Lady, this is not a paid position with a job description. It's clear, though, that we still consider her role "work" and judge it on merits similar to those we apply to a paying position. It is "work" when it is intellectually taxing, physically challenging, and socially important. I'm on record for saying that I don't think that motherhood is a job, and I think that it's a bad idea to try to make it one. It most certainly is, however, work. Parenting is hard work. It is intellectually taxing, physically and emotionally challenging, and immensely important to the future of society. But just as Michelle Cottle does not believe that Michelle Obama's "mom-in-chief" role fits the bill, American society in general devalues the work of motherhood consistently and loudly. It is not just motherhood that gets questioned in this devaluing of "women's" work: it is a whole range of activities and methods that are feminized and marginalized by mainstream narratives of success. Don’t count on it. As President Obama claws his way through a second term, the sense of urgency for his well-educated wife to do more—to make a difference—may well be mounting. But that doesn’t mean it’s going to happen. In fact, East Wing officials I spoke with stress that Michelle Obama is not about to tap her inner wonk—she will focus on young people, not policy—and while the task of promoting higher ed may be new, speaking directly to kids is simply what Michelle does. Sure enough, in a sit-down with BET’s 106 & Park the week after the Education Department rollout, there was the first lady in full mom mode, lecturing students about nothing more politically controversial than the need to do their homework and get to school on time. Catch that? Because she is doing it "in full mom mode," Michelle Obama's methods to securing higher education reform are inadequate. The only adequate methods involve policy board meetings and talking to a bunch of old white men in suits. Speaking directly to the kids on 106 & Park is as inconsequential as you can get. It's kind of like how doctors are valued for their life-saving medical knowledge, but nurses are often overlooked for theirs. 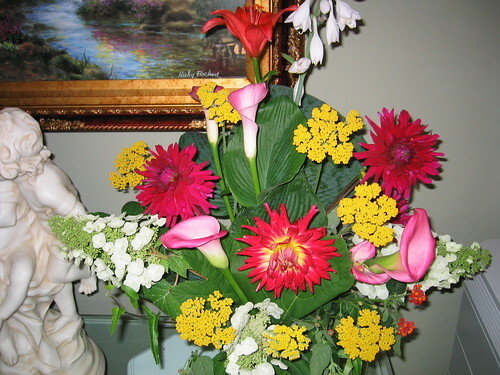 A building beautified by an architect or a painter is a sign of extreme intelligence and hard work, but a flower arrangement created by a florist or a haircut clipped by a cosmetologist is a frivolity. These are the "pink collar" jobs: work traditionally done by women. It is made up of jobs that are focused more on personal interactions and the devaluing of these tasks is directly related to the devaluing of that which is read as "feminine" by the society at large. Here I mean "devaluing" in both the literal and figurative senses. We pay people in the "pink collar" jobs a lot less, and we look down on them for doing it. There's a plot line in the TV show Scrubs where Elliott is cut off from her father financially when she refuses to become an OB/GYN. Throughout the show (and many other shows/films set in medical environments), the specialist tracks are seen as elite, prestigious, and intellectual while the work of a family practitioner or pediatrician is seen as sub-par. This perception has real-world consequences. According to this article about the pay gap in medicine (women doctors make $50,000/year less than men), women make up more than half of all pediatricians, but fewer than 10 percent of the orthopedic surgeons. In almost any field, it seems that the jobs that put one closest to the patient/client/customer are devalued along with the skill sets that work requires: communication, patience, interpersonal skills. Instead, we value work higher when it is seen as distant (and thus elite), further removed from the masses. Teaching is pretty squarely a "pink collar" job. It requires a lot of personal interaction with the students, and it has a lot of overlap with mothering, especially at the earliest stages. Perhaps this is why so few men are involved in early childhood education or elementary teaching. And it's not just that men do not want to take these positions; it's also that as a society we are suspicious of them when they do so. I've had a lot of people tell me they wouldn't hire a male caregiver or feel comfortable leaving their children with a male daycare provider. As we climb higher in the educational attainment ladder, the gap closes. Men make up only 2% of preschool and kindergarten teachers, but 42% of high school teachers. By the time that you reach higher education, the gender gap is more accurately examined by field, but it is certainly not as pronounced as it is earlier in the education spectrum. What happens, then, is that a hierarchy appears here just as it does with medicine. It's a fairly commonplace assumption that someone who has gone through medical school and achieved the rank of M.D. is intelligent and hard working, but when those people choose to use that intelligence and hard work to take on the "lesser" task of working directly with patients in a generalist position, they are less valued by society, and those people tend to be women. In academia, the teaching that is most like "mothering" is less valued (and here I'm using mothering instead of parenting because we tend to think of mothers as the "nurturing" ones even though fathers are perfectly capable of nurturing, too). Kindergarten requires a lot of calm voices and patience. 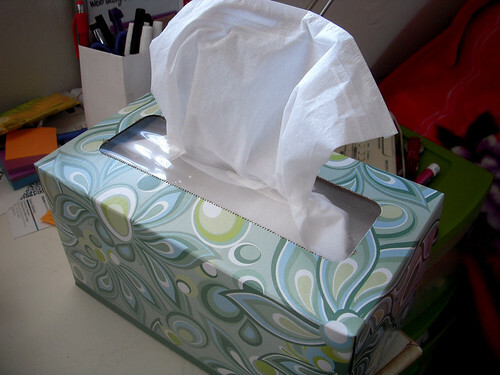 There are snotty noses to wipe, spills to clean up, and tears to dry. I teach adults in a college classroom, so I've never had to wipe a snotty nose and I rarely have to dry tears, but I still see a pecking order taking place. I teach developmental education at a community college. My job is at the bottom of the higher education totem pole. I am doing the pink collar work. Holly Ann Larson writes about this phenomenon in an essay titled "Emotional Labor: The Pink Collar Duties of Teaching." Larson and I have similar careers. We both teach English at community colleges to students who need some remediation in their skills before continuing their college educations. In my sixth year of teaching at a community college, I can unhesitatingly say that my primary role as an instructor is to nurture: that is, to perform emotional labor. The term “emotional labor” was first coined by sociologist Arlie Hochschild in her pivotal book, Managed Hearts (1981; 2003), where she explores how certain jobs, mainly those in the service sector and those predominantly held by women, demand that their workers “induce or suppress feeling in order to sustain the outward countenance that produces the proper state of mind in others” (p. 7). Teachers at community colleges and technical schools, which are seen as extensions of secondary school, are also viewed as pink-collar workers. Universities, however, are held to a higher standard, where scholarship, as opposed to teaching, is the primary focus. And since the professor at a four-year institution spends less time in the class- room managing students than in his or her personal office focusing on scholarly writing and publishing, the job is not perceived as pink-collar, but as prestigious and respected work. Because their emotional labor is seen as a labor of love, one that women do instinctually, their time spent with students or dealing with their problems is not looked upon as rigorous, demanding, and valuable work. Like Larson, for me connecting with my students and nurturing them is not just a side effect of my career: it is one of the key reasons I was drawn to it to begin with. I love what I do, and I love it not in spite of the fact that it requires an emotional investment from me but because of it. I have not been shy about articulating this desire. I even announced early in my M.A. program that I intended to work at a community college because it seemed a better fit for my teaching philosophy and skills. Some of my professors were supportive, but some were very vocally opposed, telling me that I was "selling myself short" and not reaching my "full potential." I strive hard to reach my full career potential every single day. It's just that what I consider my potential doesn't match the standard of success because it's too close, too emotional, too pink. The problem with devaluing Michelle Obama's work as FLOTUS isn't just that it attacks another woman's personal choices in the name of "feminism," isn't just that it ignores the role of race in the "mold" that Michelle Cottle wants to break in the first place, and isn't just that it creates a rift between feminism and motherhood. It does all of those things, but it also ignores the value of entire skill sets that aren't economically privileged. It ignores what that work does in our society. I want educational policy changes as much as anyone (probably more than most), but I also know that Michelle Obama sitting down on 106 & Park is not trivial. Talking to children as if they are people is not ridiculous. Doing work that is close and personal and emotional is necessary. Maybe your definition of success is entirely based on prestige and the size of your paycheck. I won't take it from you. But that's not the only kind of success there is, and if it's the only kind of success feminism has room for, then feminism has truly failed. I had a patient tell me a couple of weeks ago if she had a health emergency she would rather have an RN than a doctor be the first to respond. It kind of made my week! That's great! I know I've gotten some amazing treatment from nurses--often when the doctors they worked with were less than stellar. Thank you for the interesting perspective this article provided. Things I think I was aware of but not on a conscious level. In reaction to Nurse Bee and some of your comments about health care and the perceived differences between MDs and RNs and different practices. My husband and I have frequently commented that we find a little ridiculous that most of the money we paid for the birth of our son went to the doctor. He was in the room for 15 minutes. The nurses were there for and dealing with me for the whole labor experience. Again thank you for the insight.